Enjoy a tour in one of the most unique marine ecosystems! 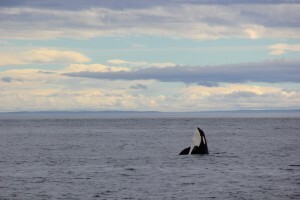 Whale Watch tours run 3-4 hours and are the best way to view wildlife here in the San Juan Islands. Our main vessel, the M/V Sea Lion is 55ft long and has ample seating, heated cabin and a restroom on board. Marine Naturalists will interpret sightings along the way and provide information on the Salish Sea. Thinking about a chartering a vessel for a private event?